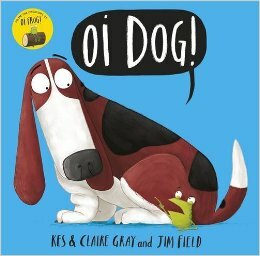 Oi Dog is the sequel to the hilarious Oi Frog!, and it is surely another winner. A rhyming book that is a little different with plenty of humour for both young ones and adults. The first book left us with Dog sitting on Frog. Well in Oi Dog, the frog has had enough and is rewriting the rule book. Every other animal has a new thing to sit on and everyone will well like it. So what will frog get to sit on this time? Certainly not a log! And dog, certainly not on Frog! A seriously must get book and if you also haven't check out Quick Quack Quentin please do so. Another funny as book that will make kids wonder why the adults are laughing at all the wrong spots!